Continuing the suspense over declaration of Bhopal Lok Sabha candidate’s name, BJP declared three more Lok Sabha candidates on Sunday. BJP General Secretary Bishnu Datt Sharma has been given ticket from Khajuraho Lok Sabha seat. 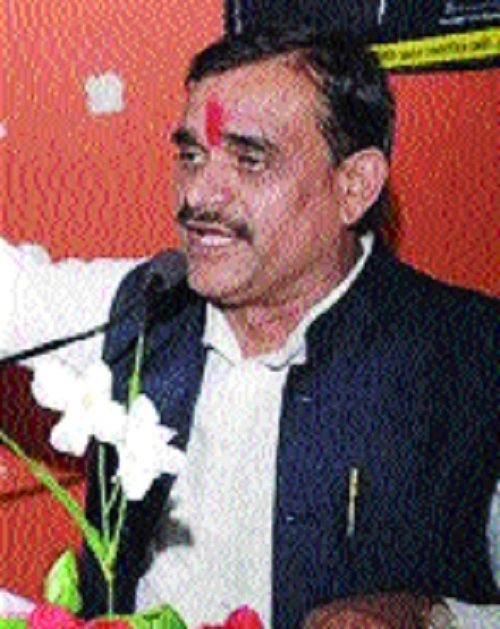 G S Damor has been fielded from Ratlam (ST) Lok Sabha seat. Chhattar Singh Darbar is candidate from Dhar (ST) Lok Sabha seat. Earlier, Bishnu Datt Sharma’s name was in the panel for Bhopal Lok Sabha seat and he was frontrunner for Bhopal Lok Sabha ticket. However, political equations changed when Congress named ex Chief Minister Digvijay Singh as candidate for Bhopal Lok Sabha seat. Since then, there was speculation that BJP will field a tall personality against Digvijay Singh. In this manner, Bishnu Datt Sharma’s name took the backseat as far as Bhopal Lok Sabha ticket was concerned. But his luck shined when BJP named him as Khajuraho Lok Sabha candidate. However, no sooner did the name of Bishnu Datt Sharma was declared as Khajuraho Lok Sabha candidate, the protest also started against his candidature by a section of BJP workers. Former MLA Giriraj Kishore (Raju) Poddar raised cudgels over selection of Bishnu Datt Sharma as candidate from Khajuraho and resigned from BJP. He resigned from all posts of party by saying that he was hurt over the candidate selection for Khajuraho Lok Sabha seat. The resignation letter of Giriraj Kishore Poddar has gone viral on social media. ‘The Hitavada’ tried to contact him, but he did not respond to the telephone calls. As far as Bhopal Lok Sabha seat is concerned, then BJP is still in fix. Apart from some names, name of Uma Bharti has also started to do round for Bhopal Lok Sabha ticket, but it is unclear that, she will contest the election or not. The reason is this that some months back, she told the media that she will not participate in active politics, citing her health as reason.